Your home is your personal sanctuary, and for many of us, taking our shoes off at the end of a long workday is one of our favorite comforts. The plush, enveloping feeling of walking on lush carpet is one of the many reasons carpet remains one of today’s most popular flooring mediums. With thousands of texture, color, and fiber combinations to consider, carpeting offers endless options – options that fit right into your home. At McDonald Carpet One Floor & Home in Boulder, you’ll find only the finest carpeting available. Our team of experienced flooring experts can assist you in the process of choosing a carpet to fit your lifestyle and personal style. Carpet is a popular flooring option in residential and commercial settings. In homes, carpet is suitable for living rooms and bedrooms, but if you live with children and pets, make sure you choose a stain resistant carpet option. For offices and other commercial spaces, there are ultra-durable commercial carpet options. You can also take look at carpet tile. Carpet has many advantages. Easy to install, affordable, and transformative, carpet can serve as an effective insulation. It keeps occupants cool in the summer and warm in the winter, and it also insulated against noise: both interior and exterior. There are many different types of carpet that you can choose. Some of the most popular types are frieze, loop, and textured. Frieze carpets are woven out of long, unruly fiber. This carpeting is more casual, with a softer look and feel. Loop carpets are woven out of short fibers that are looped on their ends. This lower profile carpet fits in with both formal and casual spaces. Textured carpets are woven using rough and low-profile fibers, for a very durable type of carpeting. We not only offer a great selection of carpets; we also provide a few different carpet services. We, for example, will handle carpet installation, as we work directly with experienced installers who know exactly how to install carpet. In addition, we are happy to now be using the Accu-Cut carpet cutting machine. With this, we can properly inspect and then cut carpet rolls, so there will not be any flaws or issues. And, we won’t have to bring the large rolls to your home! Our carpet selection includes Carpet One exclusive brands such as Tigressa, Lees, Innovia, and Bigelow STAINMASTER. Plus, we offer select styles from Masland. 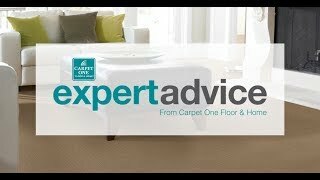 There are many different carpet options available, but fortunately our experts are here to help you choose the best carpet for your home. As your local carpet experts, we offer premium services such as carpet cleaning. Learn more about our cleaning services. A local destination since the late 1970s, McDonald Carpet One Floor & Home has long been dedicated to providing only the finest home improvement products and services, while lending support to its surrounding communities.